This row is very versatile and can be made to view horizontally or vertically. Quilt Vine is located on the Eastern Shore of Maryland. Anything that has to do with the Chesapeake Bay Blue Crab is very popular here. 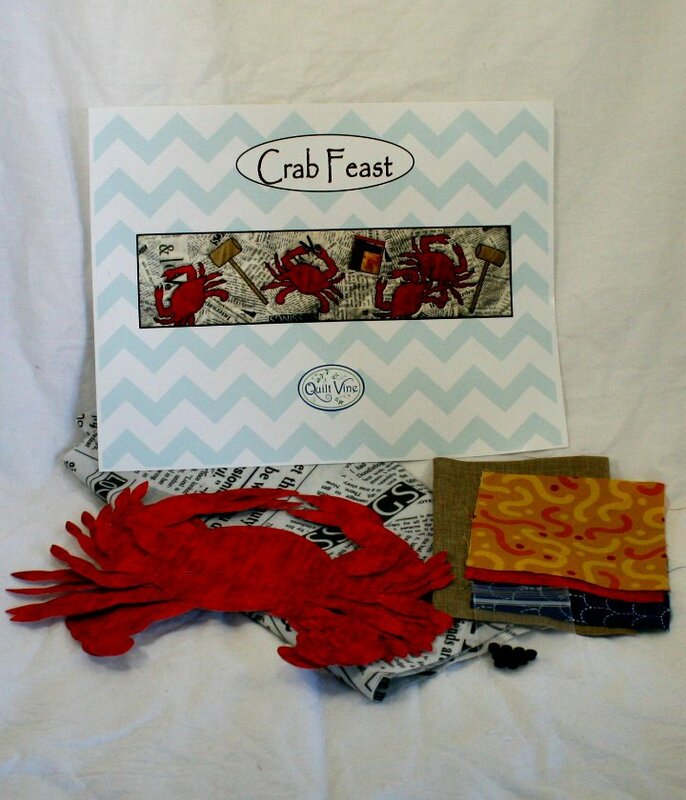 This kit is done in red crabs to represent cooked crabs. It is traditional to eat the crabs on a picnic table covered with newspaper and to have them seasoned with Old Bay.